Topic: Advanced R and bioinformatics applications for visualization and interpretation of genomic data. Overview: The advent of rapid and relatively cheap massively parallel sequencing has dramatically increased the availability of genome, transcriptome, and epigenome profiling. Analysis workflows and published best practices are also now available to process raw sequence data into alignments, variant calls, expression estimates, etc., in relatively standardized file formats. Interpretation and visualization of these data, often consisting of thousands to billions of data points, and extracting biological meaning remains a serious challenge. 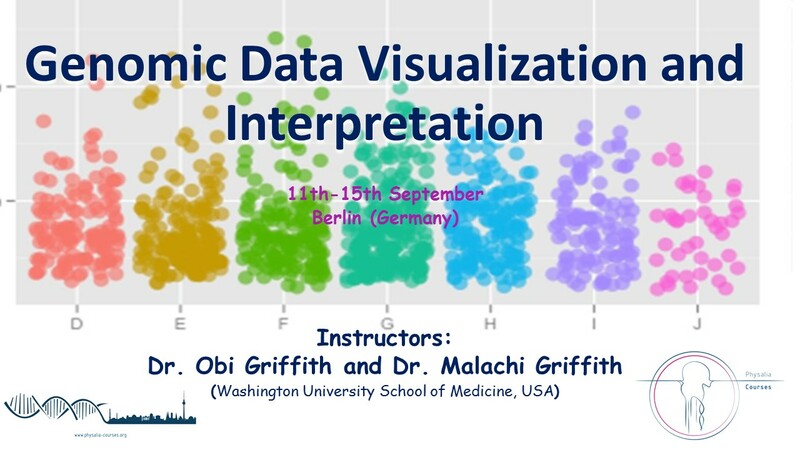 In this workshop we will explore a number of best-in-class visualization tools, and provide working examples that demonstrate important principles of ‘omic interpretation strategies. Registration deadline: August 10th , 2017. Last spots available, attendees are seated on a first-come, first-served basis.